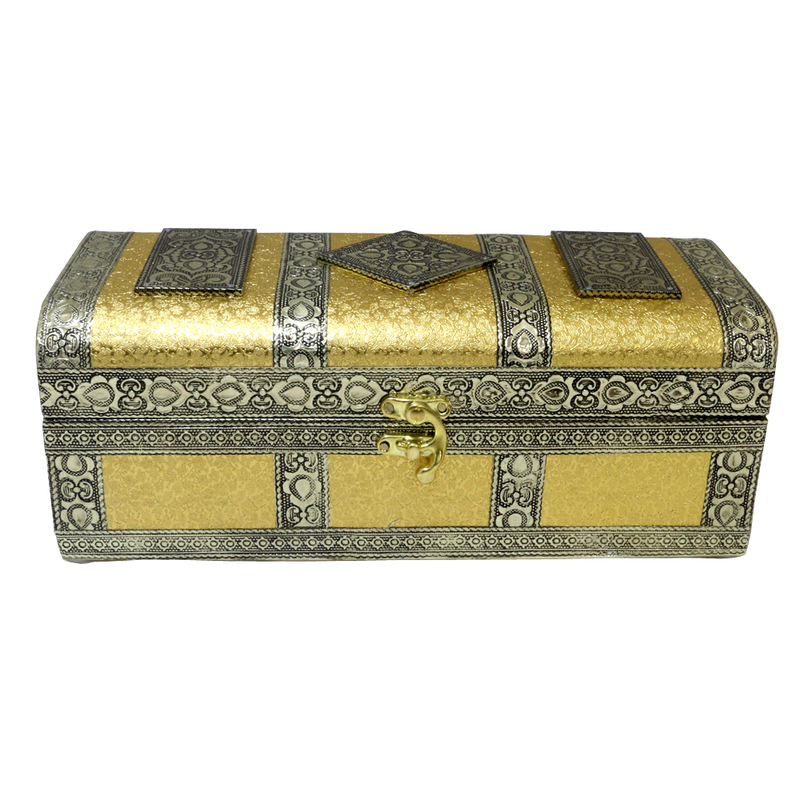 Trunk shaped yellow coloured pitari box with intricate craftwork by brass and resin on it. It is most favourite among the ladies to use it to store bangles, jewelleries and other valuables in style. Jewel box is something which is always on the priority list for a woman. So, considering the nature and beauty of a lady, this box Read More..is also designed with brass and resin. On the lid, there are three simple shapes of design etched, which is why this box looks exquisitely gorgeous. Show Less..